As I mentioned in my preview post the other day, the first stop on my weekend visit to SoCal was Autoclub Speedway in Fontana for a little autocross action. An Inland Empire parking lot during the middle of July might not be the most desirable locale, but the team at Hotchkis made it well worth the trip. While there weren't a huge amount of cars participating on Friday afternoon, the drivers that did come out were guaranteed lots of track time. That is always a good thing. It also gave visitors to the weekend's NMRA/NMCA event see action that doesn't take place in a straight line. …or the most recent version of Chevrolet's icon. Let's not forget the Mopars though. Elana brought out her daily driver Challenger for a weekend of fun. 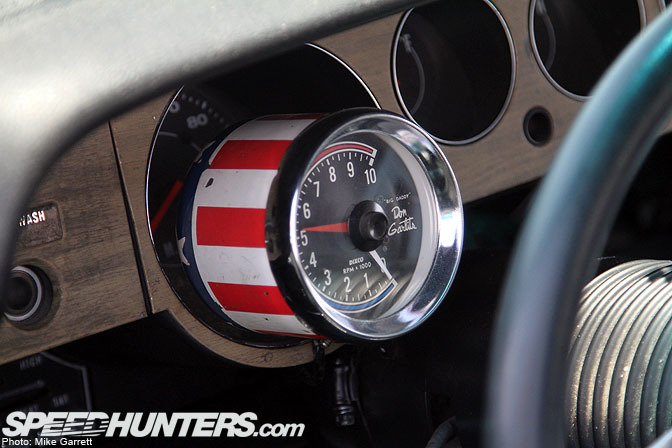 She also has the coolest tachometer I've ever seen. Big Daddy Don Garlits-approved. 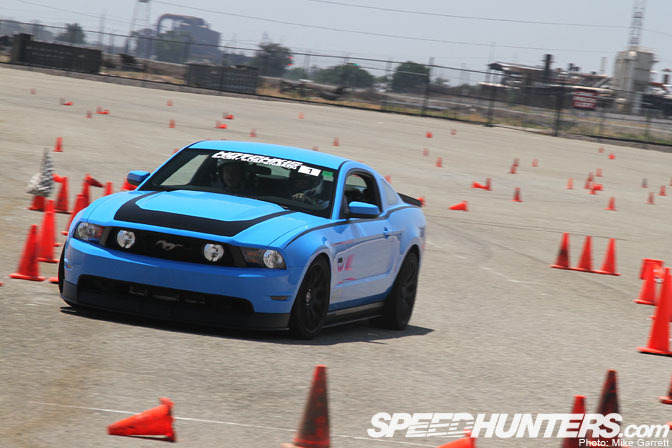 Hotchkis has been working hard on getting into the Mustang market, and Mike was out with his Hotchkis-equipped RTR Mustang putting the goods to the test. The blown 5.0 in this thing sounds beastly! 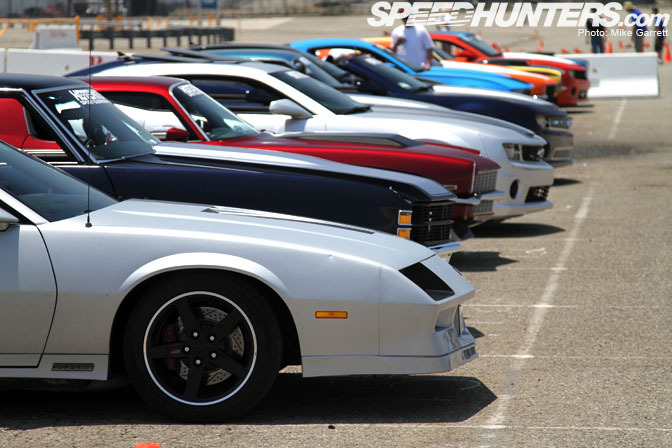 I'm not afraid at all to admit that I dig third generation Camaros. Neither should you. If you've never been to an event like this, you'd be surprised just how well these big, heavy machines can navigate the cones. It should also go without saying that they look and sound badass while doing it. It wouldn't have been the only Japanese car out there. 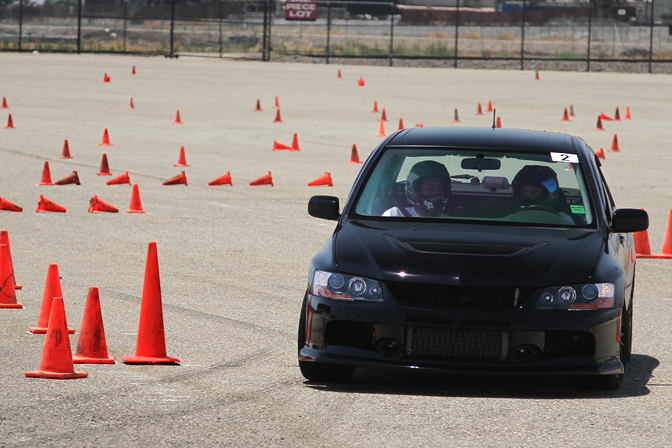 This Evo9 was also taking part in the fun. The AWD turbo machine was quite a contrast to the muscle cars and trucks. This is a proper Sport Sedan. Watch out BMW and Audi. Convertible or hard top? Take your pick. Before becoming acquainted with Hotchkis, I never would have expected to see C10 Chevy trucks built to handle. Should have known better. Based simply on how many I see on the road, the new Camaro has been pretty successful for GM. It's definitely nice to see Camaro owners that take driving seriously. This BBS-equipped example is the Hotchkis demo car. This pickup is a Truckin' Magazine project vehicle and a pretty mental build. Look for a spotlight coming up. 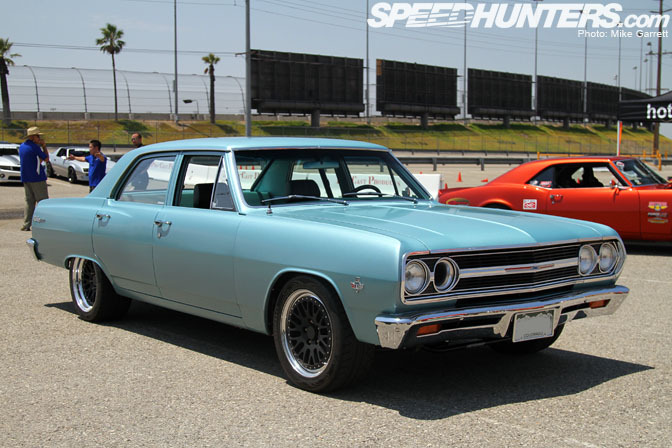 I wasn't surprised at all to see Dan's Plymouth out there attacking the course. The guy does everything with this car! Thanks again to Hotchkis for throwing another cool event and inviting us to be part of it. Can't wait until the next one! awww, Mike - You always say such nice things about my car. When are you going to drive it? Any pictures of the black Nova that was there Saturday and Sunday??? It belongs to me, and I would love to see if you guys got any stills of it!! Thanks for coming out as always. I dont understand why anyone would autocross, when theres a perfectly fine track inside. Thank you Speedhunters for showing us that being an enthusiast means that you love all cars and not just specific cars or setups. People always say, "new cars don't have character". When the classics that everyone raves about now were new, people said the same thing. If you expect a car to have character fresh from the dealer: good luck. The majority of your car's character needs to come from you, the owner, the enthusiast, the tuner, the builder, the wonderful driver/drifter, the lover of all things automotive. Let's please love more and hate less. ill take the evo any day of the week...so much u can do with the evo compare to the muscle cars that can only do burnout "
This is why our generation is looked down upon in the world. Foolish, simple minded and afraid to see beyond JDM. 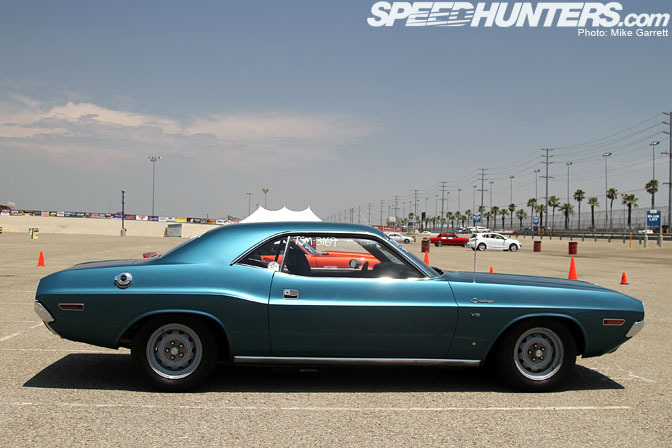 If you had been keeping up with muscle car trends, you would have known about the "Pro Touring" trend, in which a proper muscle car like the Challenger, 'cuda, Camaro, Chevelle, even the C10 are made into proper corner carving machines capable of pulling 1g turns, hanging on the autocross, and driven in fury on the Road Course. Are they simple bolt ons, for the most part, no, but they are beyond "only doing burnouts." Go to your next Goodguys Nationals or any "muscle car" event and watch the autocross and I believe you will be surprised and hopefully open you eyes instead of your mouth. Three or more pointer cones per upright cone? Is that a wall of six pointer cones at the finish? So every driver there was a novice in danger of getting lost and there was not an experienced driver in the group? If Roger Johnson were not still alive, he would be spinning in his grave. These were your average people, and NO, not racing drivers. How else would you get started hmmm?? The Big track was being used for a motorcycle event. 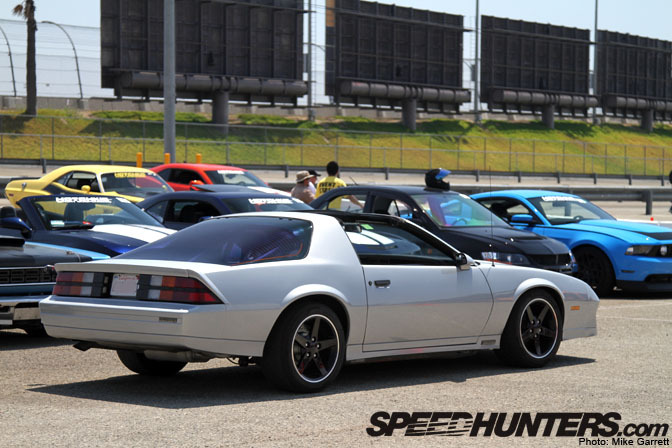 This autocross came about when the NMRA/NMCA folks mentioned to John Hotchkis that they had a lot of extra parking lot during their drag racing event. It was a very opportune thing to do. There's a NASA event at the roval at the end of July if you're so concerned. The track was set up by local SCCA timing officials. Go cry to them. Extra cones never hurt anyone. 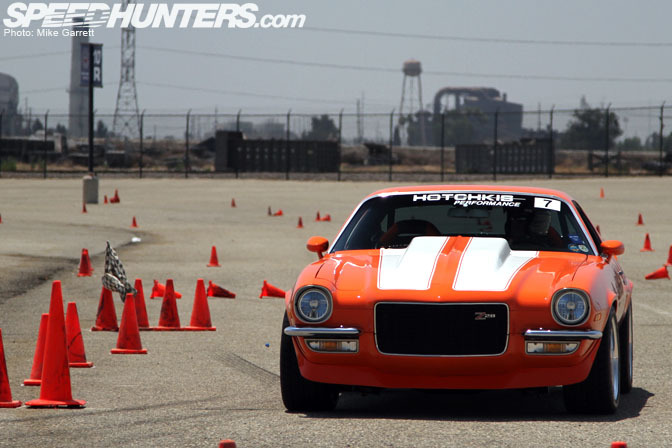 Im loving what hotchkis did with the z28. Good customizing and perfectly restored. Ive always been a fan of "sport" trucks. 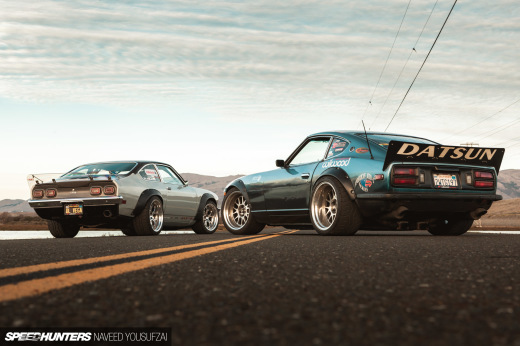 More features/articles showing them off would make speedhunters the one stop blog for most everyone. It looks like you guys were only there on Friday, the Hotchkis only day. Do you have any pictures from the rest of the event? Wilson, shut up and bring a car to the track. @wilson..burnouts only huh? You really have no idea what you are talking about. 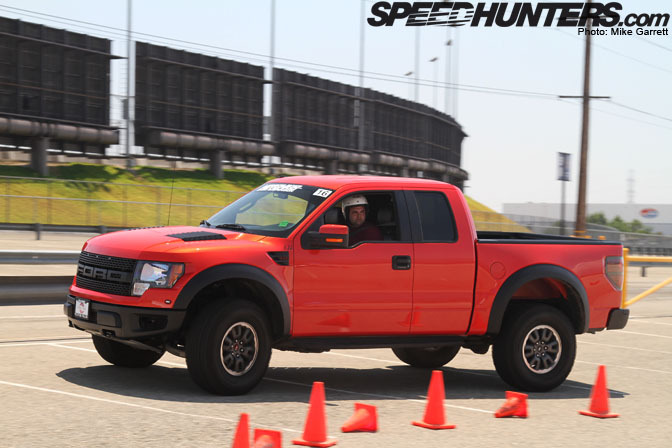 running on a track and in a parking lot autocross are two different games. Sweet. The pro-touring movement has really exploded. There are plenty of built muscle cars out there that would run down a Z06 on the road course. 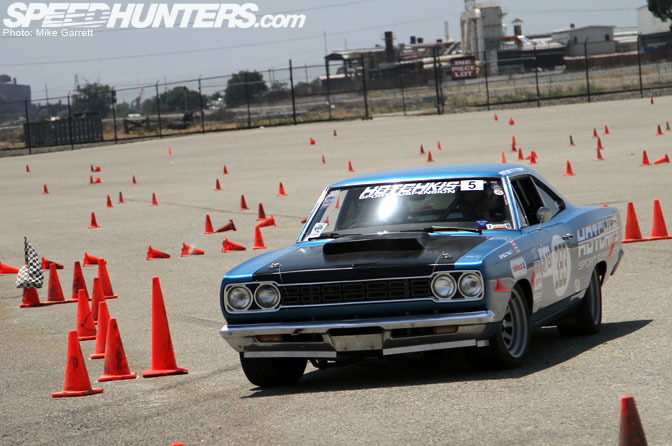 It is especially fun to see some pre-'72 iron running the autox at Goodguys events. As someone who owns both a '69 Camaro and an '03 Evo all I can add is that I love both cars for the same reasons. I am an enthusiast. Hotchkis creates some excellent parts and this is proof they also put on a great event. You'd be surprised to know how well some of those large hunks of Detroit iron can turn. So much f'n win in this post, photo wise... comment wise, not so much. 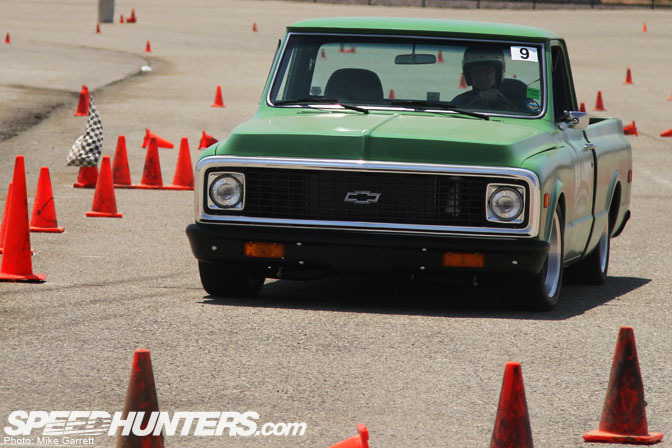 All the C10's I've seen with Hotchkis parts have been so rad, I really want a 72. Wow, a few haters here I see. Maybe these guys need to come out to one of these events and see for themselves. I think they will be quite surprised. 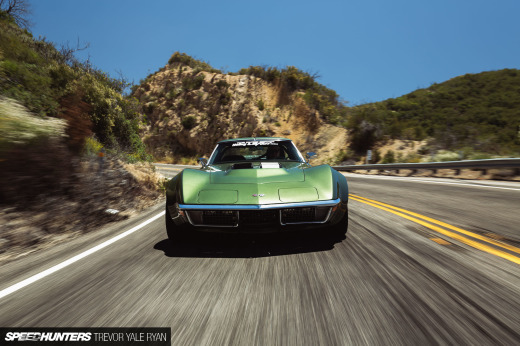 Muscle cars can turn and brake if properly equipped. And complaining about extra cones?? Really? @ wilson- (head shake). You are talking about cars that are about 50 years apart. Mitsubishi wasn't even an official car company when these cars first came out. I would hope that a 2006 Mitsubishi Lancer Evolution was more capable than a 1970s Muscle Car. The great thing about Hotchkis is that they can update old technology to modern day standards. That was the whole point. I am a Gen Xer and it kills me how ignorant people can be sometimes (I mean just look at the comments for the latest ZR1 and Z06 Nurburgring runs on Youtube). I am a fan of Speedhunters because they showcase vehicles from all sort of backgrounds and prove that it does not necessarily need to be only JDM, Euro, American, etc to go fast. Id like to see a time comparison for the Evo VS some of the hotchkins cars. 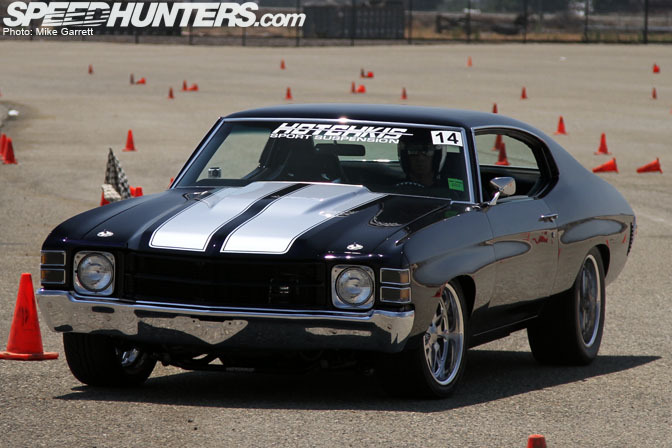 Also the muscle car guys should hit up a couple drift events they would probably do good.